By this point you must go “WHAT? ANOTHER ONE?!”. I don’t blame you, finishing these games at the rate they are released on PC is true to being a challenge, however these PS Vita titles are very worth enjoying on Steam. 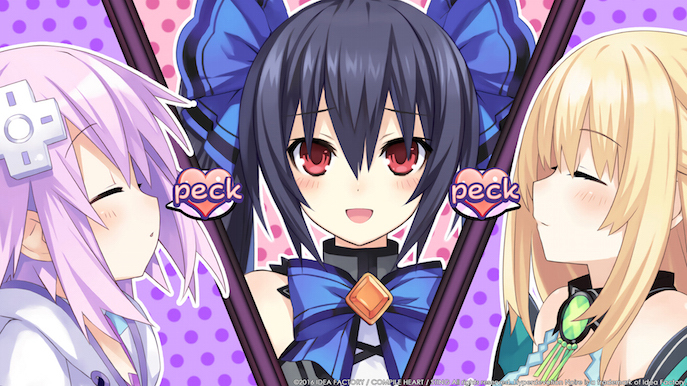 This time, all you Noire fans get a special treat! 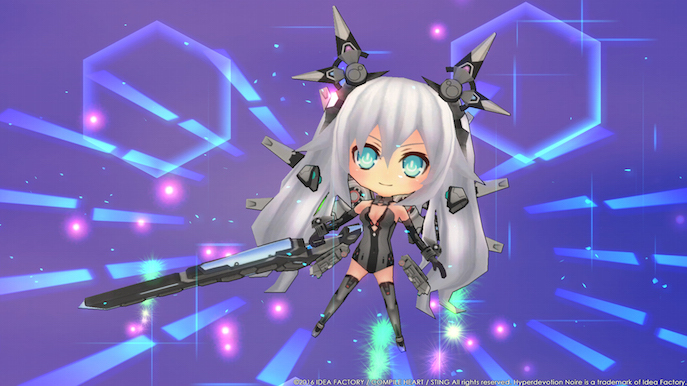 In Hyperdevotion Noire: Goddess Black Heart, you play as effectively, Noire. 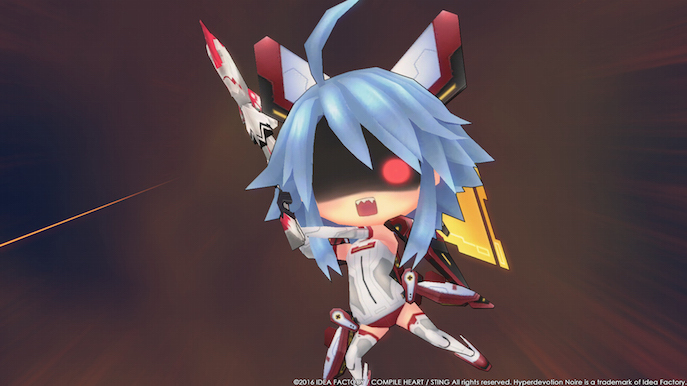 As the main character, you get to be the coolest and most badass of the CPUs, even to the point were you can defeat Neptune! I personally am a fan of Noire, I believe her attitude and personality is pretty on point and basically the mot interesting of the whole cast. ENOUGH SHENANIGANS! IS THIS ANOTHER JRPG-LIKE? Hold your controllers there, cowboy. Yes, this specific title works around the typical Hyperdimension formula, including Visual Novel type cut scenes (with a few 3D shorts) and turn based action. Nevertheless, in this case the turn based genre goes top-bottom view with an XCOM-like tiles for movements and actions. Oh did I mention chibis? …IS THAT SOME SORT OF MOE THING? Not technically, I believe. Chibi is this “art style” that revolves around making your characters small but with proportionally aggressive big heads. Some new and unique to the franchise, but I do feel it a bit bland in terms of aesthetics. Hyperdimension series stands out for their high quality sprites, animations (…yes, and the voice acting), and for some the plot. So in other words, the art decision may be new, but it really just puts the game on another level, either for good of not so good. It’s all a matter of perspective. This “new” mechanic of gameplay can show to not be very intuitive, at first. Using a keyboard for testing it proved to me how difficult was to know what to do during my turn, even with a UI that showed some of the buttons. I switched to a controller and pressed almost everything until I realized the attack option and other activities have their own specific window, it felt very oldschool and / or strange in a sense, this could easily be more intuitive if actions appeared on a hover wheel around enemies or around your character in any or specific tiles. However it does feel fresh in comparison, the way you can control your turns and the ones of your other characters makes it feel like a classic SRPG, as well as take advantage of Affinity Wheel which allows for attacks to have special effects depending on the element their affinity is associated with, these are equippables that you get through the game. Environments can prove to be very strategic in terms of positioning, you can bump enemies into other tiles (YOU CAN HAVE THE HIGH GROUND!) with environmental hazards and power ups, so watch out, or use at your advantage! 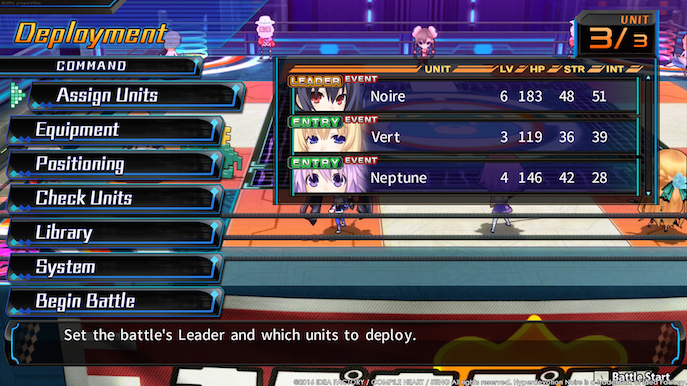 I still do prefer bigger genre jumps like what Idea Factory did with Neptunia U. Now that that’s out of the way, my impressions on the story are actually a bit ironic: Noire is a character that shows a lot of status in terms of personality, posture and the way she speaks. Her actions are very gentle and kind though, as she wants the best for everyone (peace between the CPUs cities and of course LastStation). In a quick turn of events, Noire is misguided but an evil character and now everything is basically the opposite of what she wanted, and here comes yet another differentiating factor of this title; YOU get to interact with her, and by YOU I mean the typical Visual Novel protagonist who isn’t voiced. How does this affect the game? Well, for starters it makes you and Noire have an interesting relationship throughout. Mostly in Hyperdimension games you would get silly 4th breaking wall remarks, but now you feel actually a part of the story, even if its pre-written. I do find it a bit silly though, as it starts to show a bit like a weird mix of “Awesome SRPG Turn based x Sim Date with Noire!”, even if for some this is quite a dream come true (?) it feels a bit awkward for starters. Fortunately it doesn’t necessarily take that much stage on the scene. 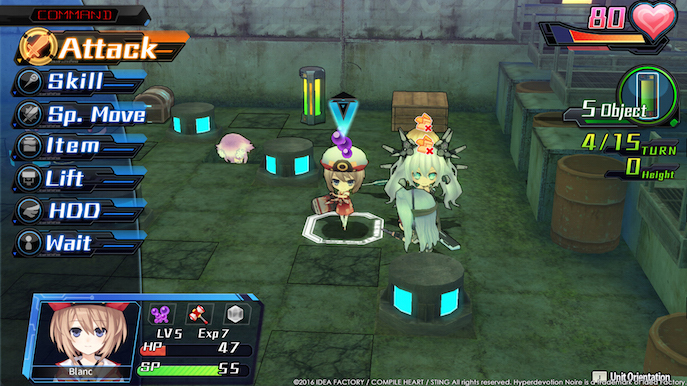 The game turns into more or less how every other Hyperdimension game evolves. For the development of the rest, it is most likely what you would expect, but honestly this series is generally fun for the humor throughout and dumb jokes poking here and there. But hey, we get to save Gamarket instead of Gamindustri! Eventually you’ll get the whole gang back and kick some generic strange enemy’s butts! 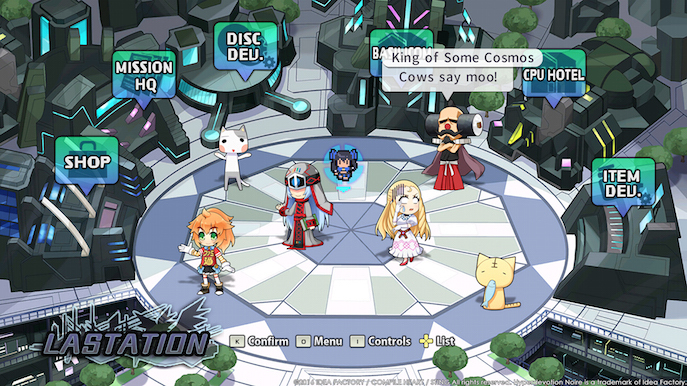 The game allows the series to focus more around one of its main aspects, strategy. You get to re-meet characters, encounter new ones and still have a few laugh at some of the ridiculous plot developments. Hyperdevotion Noire: Goddess Black Heart is definitely a worthy title to try, even for players who are probably tired of the series, but I can say it stays fresh and so far it’s PC optimization is decent, even for low-end computers.